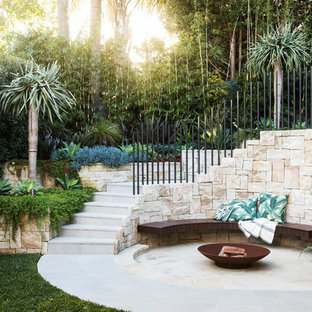 Inspiration for a tropical backyard patio in Sydney with a fire feature, natural stone pavers and no cover. 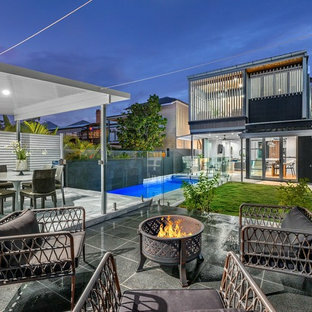 Design ideas for an industrial backyard patio in Sydney with a fire feature. 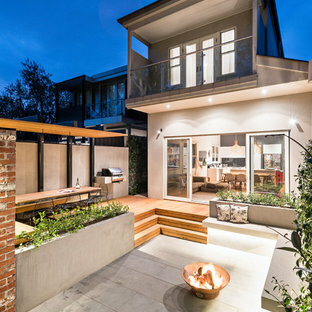 Design ideas for a contemporary patio in Melbourne with a fire feature, natural stone pavers and a roof extension. 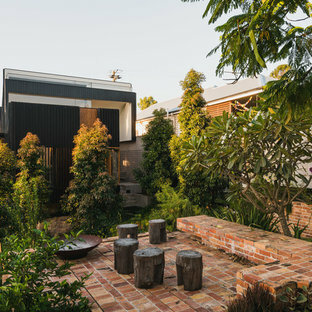 Inspiration for a contemporary backyard patio in Brisbane with brick pavers and a fire feature. 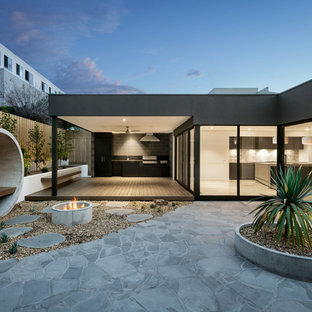 Inspiration for a contemporary patio in Melbourne with a fire feature and no cover. 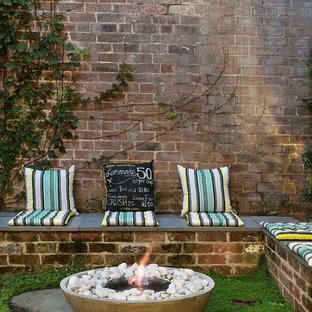 Inspiration for a country backyard patio in Sydney with a fire feature, gravel and no cover. 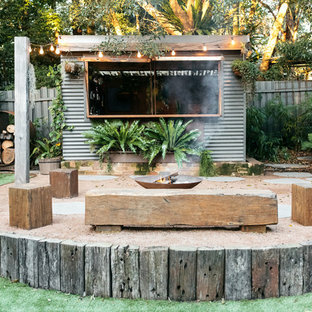 Country backyard patio in San Francisco with a fire feature and a pergola. Design ideas for a large traditional backyard patio in Columbus with natural stone pavers and a fire feature. Design ideas for a traditional backyard patio in Chicago with a fire feature, a pergola and natural stone pavers. Photo of a large transitional backyard patio in Seattle with a fire feature, concrete slab and no cover. The primary view from the deck overlooks both patios with bluestone steppers connecting the spaces. Freshly installed perennials line the edges of both patios. 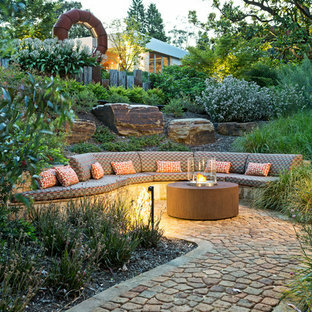 Landscape design by John Algozzini. 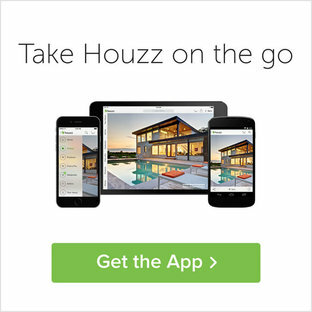 Design ideas for a mid-sized transitional backyard patio in Dallas with a fire feature, decking and a pergola.